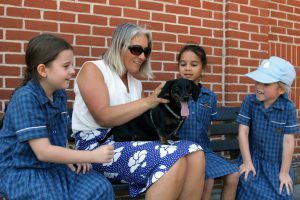 Welcome to our incredible Junior School, where inspiring curious young minds is our business. From the moment your daughter experiences our nursery environment, through to the day she lets go of your hand in the Reception playground, and on to the moment she confidently strides out of her Year 6 classroom, we aim to make every minute of her education here at our Junior School, one that she will always value and remember. Starting gently of course, through fun and play, building up to academic excellence as her confidence grows and curiosity deepens. We believe that it’s never too soon to start preparing girls for what the future holds. Our lessons are appropriately challenging and academic standards are high, resulting in girls who are smart, bold, courageous risk takers who bounce back from setbacks. But the Junior School is about so much more than just that, it’s about energy, vibrancy, fun and friendship – you can actually feel it in the buzz here and hear it in the chatter. If we could bottle what we have here, it would be a best seller. Our girls feel safe and comfortable in our care as they are expertly guided through their early education, making friends along the way, discovering new talents and building on existing skills. They love it here, they really do. Their enthusiasm is contagious and I would defy anybody to walk down one of our corridors or attend one of our events without beaming. What better place to start your daughter on her future path than to entrust her to a school where she will have such a great time that she won’t even realise she’s learning! She will leave us with not only academic skills, but young life skills too that will stand her in good stead for the Senior School and the future. Of course, we all know this to be true, but we are delighted to also share the fact that we are officially one of the top Independent Preparatory Schools in the country – read our news item and see for yourselves. I look forward to welcoming you personally at one of our open events. If you are considering our Junior School please take a look at our Junior School curriculum, extra-curricular activities, after school clubs and the outstanding pastoral care that we have to offer your daughter.